There is no clear record of who built this thing, or why, but you can go to Vatsnes and stomp around in it. It’s like walking around inside the speech “Our Land” (Unser Land), that Gunnar read throughout the German Reich in 1940: a bad defensive strategy but a resolute gesture. 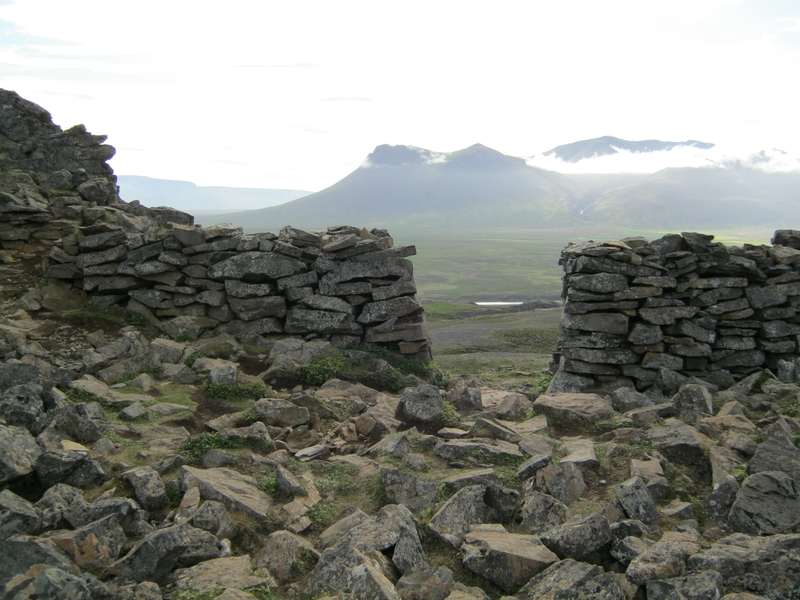 This entry was posted in Land, Nationalism and tagged Borgarviki, North Iceland, Vatsnes on April 8, 2019 by Harold Rhenisch.